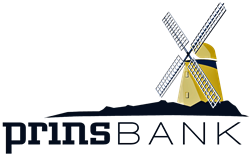 PrinsBank offers a full range of financing for new and used vehicles, boats, motorcycles, snowmobiles, four wheelers, campers, etc. We strive to make the lending process streamlined and trouble free. In most cases, your loan can be completed the same day. • Bring in Vehicle Identification Number (VIN) for the vehicle you wish to buy. • Bring the Title to any currently-owned vehicle you wish to use as collateral for your loan. Check out the book value for the vehicle you’re shopping for by using www.nada.com.